The Little Vintage Baking Company is an appointment-only, boutique cake design studio specializing in show stopping wedding cakes. Known for handcrafted, lifelike sugar flowers and timeless, elegant and modern design, The Little Vintage Baking Company has been featured in both national and international blogs and publications, such as Cake Masters, American Cake Decorating Magazine and Cake Central Magazine. The Little Vintage Baking Company’s cakes and confections are made to order and 100% from scratch using the freshest and finest ingredients, including European-style butter, organic dairy and produce, high quality chocolate and Madagascar vanilla beans. Only the best quality ingredients are used to craft cakes that are as delicious as they are exquisite. Founded by self-taught, award winning cake designer and sugar artist, Ashley Barbey, The Little Vintage Baking Company blossomed from Ashley’s love of baking along with her love of art and design. 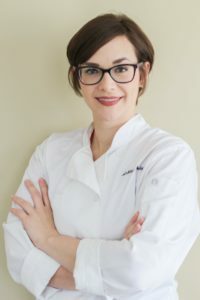 Every cake is meticulously designed and uniquely tailored to each individual client, reflecting Ashley’s artistic design and her client’s personal style. 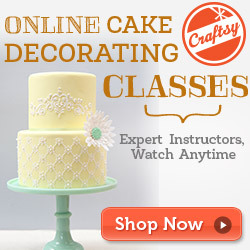 Ashley also teaches classes on the art of sugar flowers and wedding cakes, both private classes and group classes across the country. Check out the classes page for more information.